Upgrade in style with the Mare Cafe Glazed Polished Porcelain Floor and Wall Tile from MS International, perfect for incorporating a contemporary aesthetic into your next installation or renovation project. The beautiful design features a smooth, high-sheen finish and neutral brown tones interspersed with beige streaks to complement almost any color scheme. Perfect for floor, wall and countertop applications, this porcelain tile offers water absorption of less than 0.5% and a moderate variation in tone to create a naturally appealing design scheme throughout your room. Buy online MS International Mare Cafe 12 in. x 24 in. 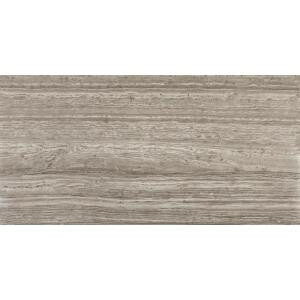 Glazed Polished Porcelain Floor and Wall Tile (16 sq. ft. / case) NHDMARCAF1224P, leave review and share Your friends.